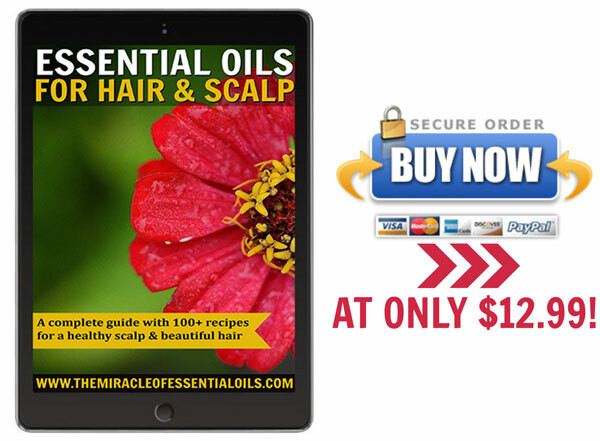 The Essential Oils for Hair & Scalp Ebook is information-packed and filled with recipes that’ll get you so excited that even those hair follicles of yours that are stuck in the telogen (or dormant) hair phase will awaken and start working again with all that blood rush to your head. We’re serious! 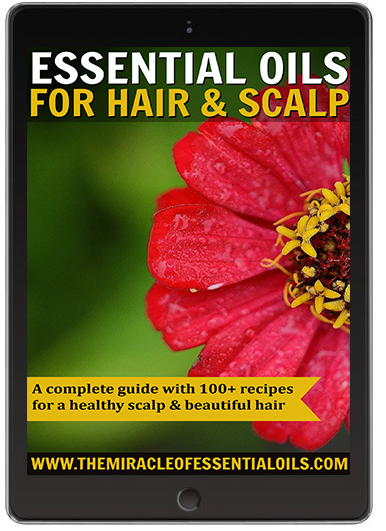 You’ll find all the hair care recipes you’ll ever need in this handy eBook and keep in mind these all the recipes are carefully formulated with right proportions of ingredients and clear instructions to create an effective final product. Why Use Essential Oils for the Scalp & Hair? Below are some of our favorite hair care products included in the book! You must try them out! This is a digital e-book, currently available as a PDF. It’s not a physical print book. As soon as you purchase it, you’ll get an email containing a download link. 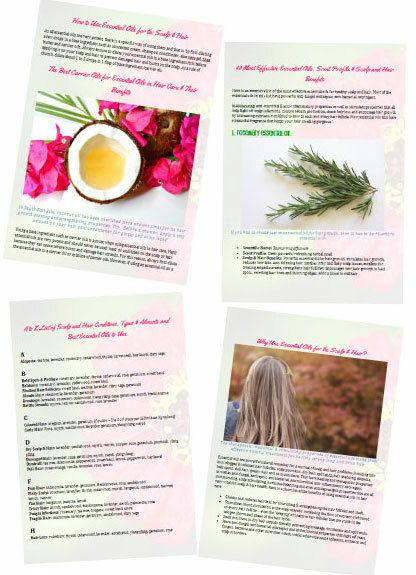 Once you download the ebook, you’ll have immediate access to this amazing guide to essential oils for scalp and hair! 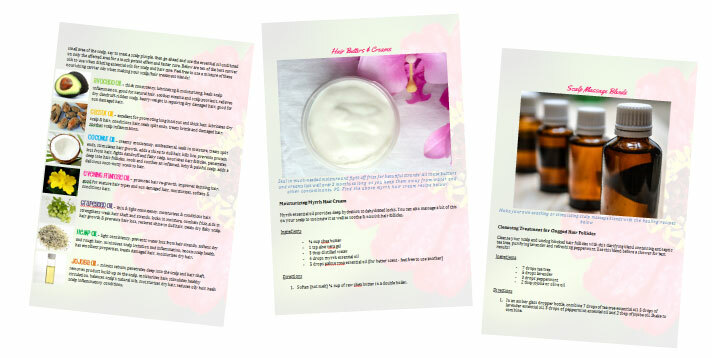 Enjoy creating your own hair care products!